You can make a beautiful nightdress and matching slippers fit for a doll princess with the&nbsp;Carpatina Dolls Nightdress & Slippers&nbsp;PDF Pattern from My Doll Best Friend. What You Get: A 11 page Nightdress & Slippers pattern that you digitally download as a PDF file to print so you can start your project immediately! The PDF pattern provides full colour step-by-step illustrated instructions. A PDF reader is required to view and print the files (example: Adobe Reader or Preview for MAC).Your pattern will appear in your account in "My Downloads" immediately after you checkout and will be available for a maximum of 5 downloads for a maximum of 7 days. Print copies are NOT available. Carpatina patterns are intended for personal use. 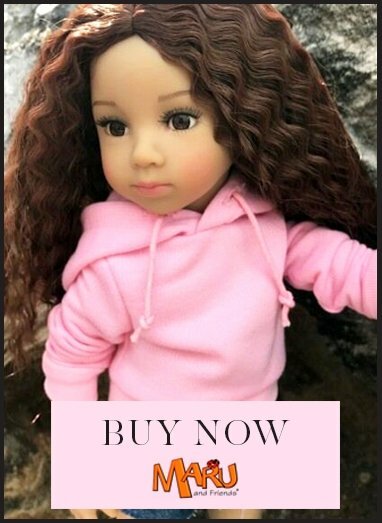 They can also be used for small scale business as long as you credit Carpatina Dolls for the pattern design such as "Made using a Carpatina Pattern" listed on websites, Ebay or similar selling sites.